Buy a Great Master calligraphy wall scroll here! 大師 is a way to title a great master, grand master, or great teacher. This can be used in the context of martial arts or a Buddhist teacher. Thus, it can be used to title a living Buddha, Bodhisattva or high-ranking monk. This the last sentence of Joshua 24:15 in Chinese. Joshua 24:15 (KJV) ...as for me and my house, we will serve the LORD. Joshua 24:15 (NIV) ...as for me and my household, we will serve the LORD. I think it is a bit like having a secret code on your wall that quietly expresses to whom you are faithful. Note: If you are curious, the last three characters represent they way "LORD" is used in most English Bibles. In Chinese, this is actually the phonetic name in Mandarin Chinese for "Jehovah." Not the results for great master that you were looking for? rāja, king, prince, royal; to rule. Great teacher, or leader, one of the ten titles of a Buddha. Mahāmati 摩訶摩底 (1) Great wisdom, the leading bodhisattva of the Laṅkāvatāra-sūtra. (2) Name of a Hangchow master of the Chan school, Zonggao 宗杲 of the Song dynasty, whose works are the 大慧書. (3) Posthumous title of 一行Yixing, a master of the Chan school in the Tang dynasty. 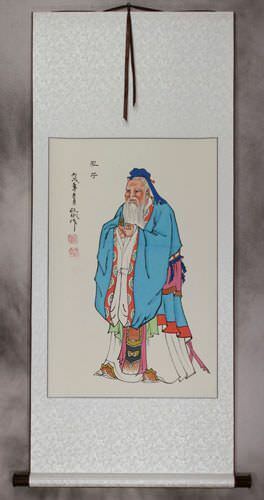 Dānapāla, a native of Udyāna who translated into Chinese some 111 works and in A. D. 982 received the title of Great Master and brilliant expositor of the faith. Six perfections (some say five, some seven) found in the opening phrase of each sutra: (1) 'Thus' implies perfect faith; (2) ' have I heard, ' perfect hearing; (3) 'once, 'the perfect time; (4) 'the Buddha, ' the perfect lord or master; (5) 'on Mt. Gṛdhrakūṭa, ' the perfect place; (6) 'with the great assembly of bhikṣus, ' the perfect assembly. Some people may refer to this entry as Great Master Kanji, Great Master Characters, Great Master in Mandarin Chinese, Great Master Characters, Great Master in Chinese Writing, Great Master in Japanese Writing, Great Master in Asian Writing, Great Master Ideograms, Chinese Great Master symbols, Great Master Hieroglyphics, Great Master Glyphs, Great Master in Chinese Letters, Great Master Hanzi, Great Master in Japanese Kanji, Great Master Pictograms, Great Master in the Chinese Written-Language, or Great Master in the Japanese Written-Language. 0 people have searched for Great Master in Chinese or Japanese in the past year.